Enter my new 10 gallon Ss Brewing Technologies (Brewtech) kettle… At first glance this kettle is a simple yet hefty piece of equipment. By hefty I mean a large and somewhat heavy pot made of 18 gauge 304 stainless steel designed to efficiently boil wort. 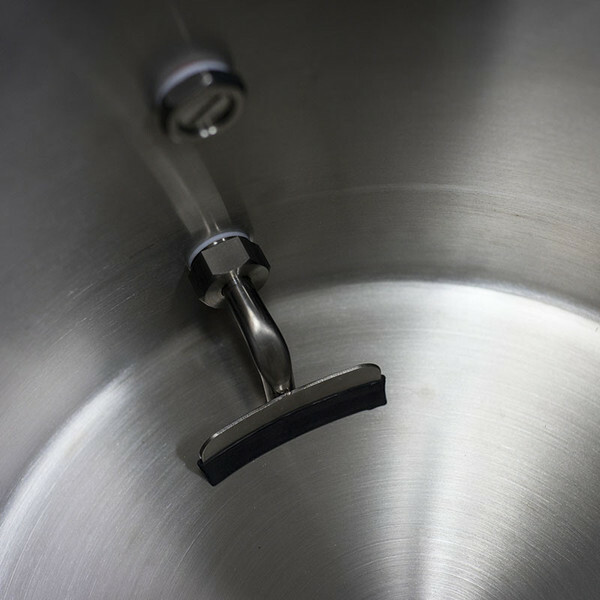 Each kettle comes pre-drilled with two holes in its front face, one for the optional thermometer or provided stainless steel plug and one for the standard 3-piece ball valve. Other standard features include silicone covered handles, internally etched volume markings starting at 2 gallons, and a trub dam, which I’ll talk discuss later on in this review. As shown in the above video after following the provided assembly instructions I then followed their instructions for prepare the pot for its first brew day. This involved doing a leak test, washing the pot with hot water and PBW (Powdered Brewery Wash), and passivating the stainless steel with 10 gallons of concentrated StarSan solution. 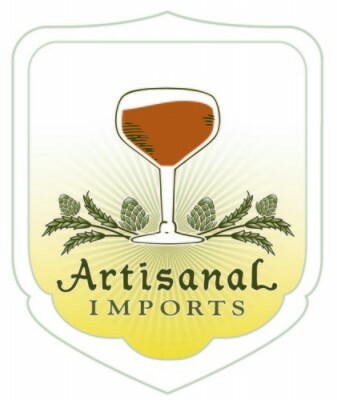 One quip that I had with their instructions was that they tell you to use 10oz of StarSan, which in my opinion is way too beyond Five Star’s manufactorer’s instructions. In turn, I used 1.5oz per 5 gallons of water or half an ounce more than Five Star instructs. One extra step which I didn’t film water my use of my submersible pond pump (usually used for recirculating ice water while chilling my wort) to back flush the ball valve after cleaning the kettle with PBW and after passivating and rinsing it. Pick-up Tube & Trub Dam: The pick-up tube was quite easy to insert into the back end of the ball valve via two temperature resistant rubber grommets i.e. pop it in and you’re set. Attached to the pick-up tube is a small metal blade which gets covered by a provided a rubber slip on squeegie. The idea behind this innovative device is that you’ll be able to whirl-pool your wort at the end of the boil and not only will your trub collect in the center of the kettle. When you start pulling wort from the kettle into your fermenting vessel, the dam blocks the trub pile from entering the pick-up tube. 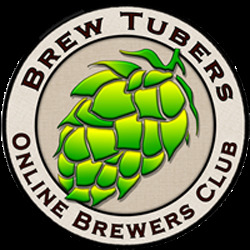 See the video above to see how the trub dam performed on its first brew day. Thermometer: It may not be everyone’s preference, but for me the low position of the thermometer means that I can monitor the temperature of my wort or strike water once it’s just above the kettle’s 5 gallon mark. Also, I no longer have to carefully use my digital thermometer to measure the temperature of wort that’s almost boiling (effin’ hot steam!). Lastly, the thermometer temperature probe’s low position allows you to RDWHAHB while adding a hop bag, whirl-pooling, and chilling your wort. Volume Etchings: After almost 2 years of having to use other measuring vessels to fill my aluminum kettle with mash water, sparge water, and preboil wort and then having to estimate my post-boil volume; it was a huge relief to have the internal volume etchings to give me more exact volume measurements. Final verdict: Wait no pros vs cons section? As I eluded to earlier in this review, this kettle represents the first major upgrade to my brewing equipment since I started brewing more regularly in October 2013. Hence, I don’t have any experience with the quick disconnect and tri-clover fittings etc. that could be added to Ss Brewtech’s kettles. 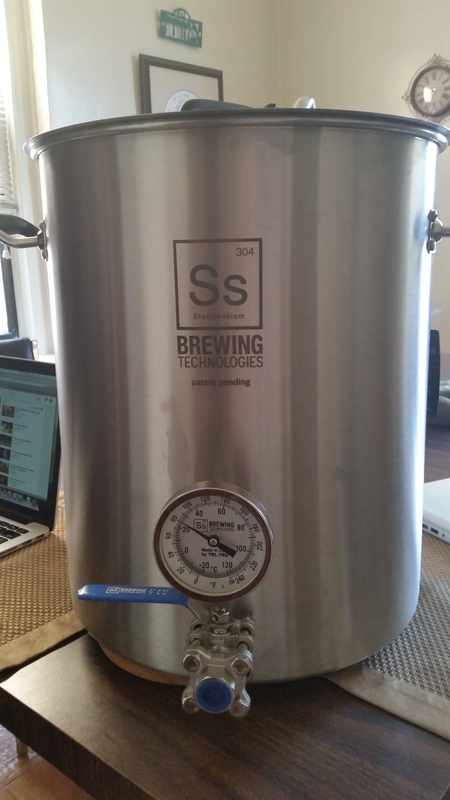 Though I should note that since brewing with this kettle a couple weeks ago the new Ss mash tun and sparge arm that I ordered were delivered and I plan on ordering quick disconnect fittings to make transferring strike water etc easier between my kettle, mash tun, and HLT (my 10 gallon aluminum kettle). For me this kettle is my ticket to being able to continue taking my brewing to more advanced levels. So if you’ve been looking to buy a new kettle or any new brewing equipment for that matter make sure to consider Ss Brewing Technologies’ kettles and the rest of their line up of high quality / skillfully engineered products. Price Point: Pricing for Ss kettles is on par with other heavy duty brew kettles, although they are substantially cheaper than other well know brands such as Blichmann Engineering. You are getting a pretty substantial piece of stainless steel with this worthwhile purchase, it’s not thin or flimsy like lower quality stainless or aluminum kettles. The 10 gallon pot is actually 10.7 gallons so you some head room to prevent boil overs if you want use this pot for 6 to 8.5 gallon batches. 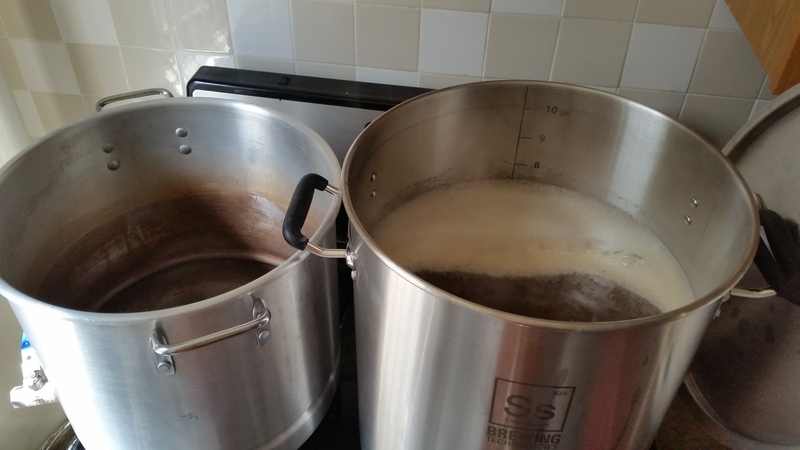 This entry was posted in Homebrewing and tagged all grain brewing, brew kettle, brewing equipment, product review, Ss Brewing Technologies, Ss Brewtech, stainless steel brew kettle, thermowell. Bookmark the permalink.